Hanns Köhler-Krüner leads a team of analysts around Content and Insight as part of the Digital Workplace team. With a long background in enterprise content management (ECM) and enterprise search, Mr. Koehler-Kruener is part of the effort to recast and reposition both markets for the future. Content services and insight engines are the result of these effort. Content Collaboration platforms (formerly EFSS) and the digital experience platform (DXP) are markets on the move. He along with his team are ensuring that they are described and mapped to client needs. He helps client to make sense of the continuous change and find the right level of involvement, exposure or positioning with these markets. Mr. Koehler-Kruener has more than 24 years of experience in support, product management, sales and consultancy roles. 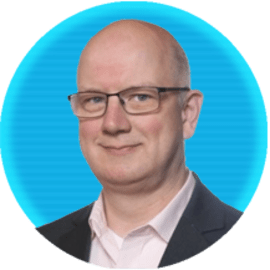 Prior to joining Gartner, he was a freelance consultant, analyst, trainer and facilitator on subjects such as enterprise content management (ECM), social content and enterprise search, as well as metadata and taxonomy strategies. Before that, he was the AIIM director for Global Education Services EMEA, responsible for AIIM's continued growth in the EMEA region, delivering training and advice, as well as speaking on a wide variety of information management subjects and trends. He has extensive experience in delivery of ECM strategy, document management systems and enterprise search.